Cox Communications is hosting a pair of “Smart Home” events in Acadiana, La. 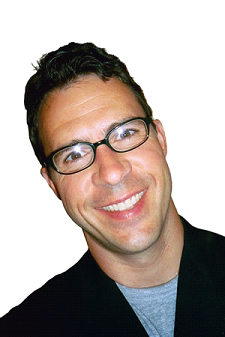 (March 28) and North Kingstown, R.I. (April 4). These events, called “connected independence,” will demonstrate a wide variety of smart home devices that show how home automation and simplified technology can make life easier and more convenient, especially for older adults that wish to age-in-place. 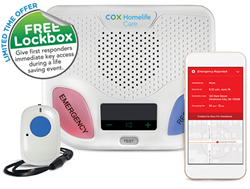 One of the featured products is the new Cox Homelife Care, which is a comprehensive, 21st century medical alert system designed to help seniors remain living in their own homes longer and safer, while providing family members peace of mind by knowing their elder loved one is OK. Demonstrated by Savvy Senior columnist Jim Miller, this new product includes a necklace pendant and a hub base station that connects to a cellular network. At the press of a button, you or your elder loved one could call and talk to a highly trained care agent 24/7 through the system’s base station hub, which works like a powerful speakerphone. The agent will find out what’s wrong, and will notify family members, a caregiver, neighbor or emergency service as needed. In addition, the Homelife Care pendant also has built in motion sensors that can detect a fall and automatically call for help, even if the wearer is unable to push the button. This product also offers a first of its kind “voice enabled device” that lets seniors call for help by simply saying “call 911” three consecutive times. This provides yet another layer of protection when a senior is not wearing their pendant. And for peace of mind, the Homelife Care also includes a mobile app for family members and caregivers that sends real-time notifications whenever the alert system is triggered. The app can be also programmed to send medication reminders to seniors and more. For more information on this new product, visit Cox.com/HomelifeCare.